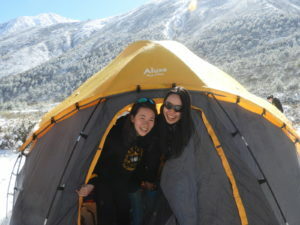 This year at ESF South Island School, the HKAYP Gold Camp took 13 students on a 10-day exploration to Sichuan. Together with three staff, one guide and 45 horses, the Gold Exploration group set off to explore the wilds of the Himalayas. Despite the challenging condition and unexpected heavy snowfalls, they finally reached an altitude of 4,100m and had the chance to work on their goal – to research on yaks and their natural habitat. On the trip, the students needed to do everything for themselves, such as cooking, setting up and striking their own camps – a unique and special experience which they will remember forever.